SACRAMENTO, Calif. /California Newswire/ — Governor Arnold Schwarzenegger today announced the appointment of Jerome Horton to represent the 4th District for the California Board of Equalization following the election of Judy Chu to Congress. “Jerome Horton is a committed public servant with a solid record of protecting taxpayers and supporting tax policies that promote economic growth, which is exactly what California needs right now. I am confident that he will work with the rest of the board to help rebuild our state’s diverse economy by encouraging businesses to grow and stimulating job growth,” said Governor Schwarzenegger. Horton has owned and operated Horton & Associates, a government consulting agency since 2007. 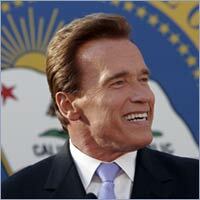 He previously represented the 51st Assembly District in the California State Assembly from 2000 to 2007. Prior to joining the California State Assembly, Horton served on the Inglewood City Council from 1996 to 2000. From 1979 to 2000, he worked at the Board of Equalization where he advanced through the ranks from business tax auditor, to legislative deputy specializing in business tax law, auditing and legislative policies. “As a public servant and small business owner, I look forward to representing the taxpayers and utilizing my experience to retain and grow businesses in the Los Angeles area and throughout California,” said Jerome Horton. Horton, 52, of Inglewood, earned a Bachelor of Science degree in business administration from California State University, Dominguez Hills. This position requires Senate and Assembly confirmation and the salary is $159,134. Horton is a Democrat. The 4th District of the Board of Equalization represents over 8 million residents in Los Angeles County which includes the cities of Agoura Hills, Alhambra, Arcadia, Artesia, Avalon, Baldwin Park, Bell, Bell Gardens, Bellflower, Beverly Hills, Burbank, Calabasas, Carson, Cerritos, City of Industry, Commerce, Compton, Covina, Cudahy, Culver City, Diamond Bar, Downey, El Monte, El Segundo, Gardena, Glendale, Glendora, Hawaiian Gardens, Hawthorne, Hermosa Beach, Hidden Hills, Huntington Park, Inglewood, La Cañada Flintridge, La Habra Heights, La Mirada, La Puente, Lakewood, Lawndale, Lomita, Long Beach, Los Angeles, Lynwood, Malibu, Manhattan Beach, Maywood, Monrovia, Montebello, Monterey Park, Norwalk, Paramount, Pasadena, Pico Rivera, Redondo Beach, Rosemead, San Fernando, San Gabriel, San Marino, Santa Fe Springs, Santa Monica, Sierra Madre, Signal Hill, South El Monte, South Gate, South Pasadena, Temple City, Torrance, Vernon, Walnut, West Covina, West Hollywood ,Westlake Village and Whittier. Article V, Section 5 of the state Constitution provides that upon vacancy of an office on the State Board of Equalization, the Governor shall nominate a person to fill the vacancy who shall take office upon confirmation by majority of Senate and majority of Assembly. The confirmed person shall hold office for the balance of the expired term.